The Urban Politico: College: Is It Worth It Anymore? 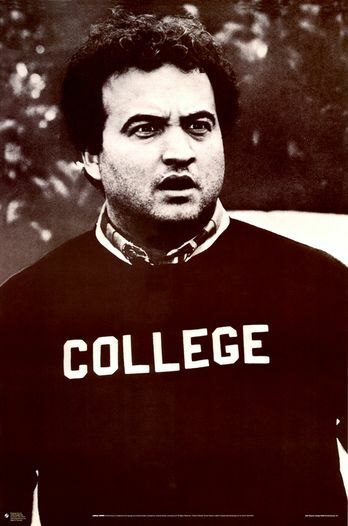 College: Is It Worth It Anymore? When I graduated from the University of Kansas (home of the mighty Jayhawks) in the early 2000's, in-state tuition ranged from about $1500 per year to about $2000 per year depending on how many classes you took each semester. Today, in 2012, in-state tuition is currently sitting at $8,364 per year for your average student taking 15 credits each semester. That's roughly a 500% increase in tuition within the last decade. This led me to wonder what about my alma mater has changed so drastically over the past few years that would justify a 500% increase since I left. Did they increase the faculty by 500%? No, they still have about the same number of professors teaching today as when I was dozing off in the back of class. Perhaps they've increased the number of buildings by 500% or quintupled the amount of land that it owns. While they have done some serious renovations to a few buildings since I left, the school was undertaking a similar number of renovations when I was there so that can't be it. And the footprint of the school has remained the same, so that can't be it either. So what can it be? Are they teaching that new math? Did one of the professors discover the Arc of the Covenant in between teaching his classes on archeology? I've got it! Maybe the rate of inflation or the cost of living in America has increased 500% over the past decade? That has to be the explanation right? Actually no. According to the stats, inflation has only gone up about 27% over the past decade. That means a tuition costing $2,000 10 years ago should cost about $2,500 today. You don't need to be a mathematician to see that we have a bit of a discrepancy on our hands here, folks. My old tuition is supposed to be, at most, about $2,500 in today's dollars. Instead it's $8,300. What the facheezy is going on here? What manner of sorcery is this? And this hike in tuition is by no means exclusive to my alma mater. Over the past decade or so we've seen colleges and universities all over the country significantly increase their cost of tuition. But these schools can never really answer one simple question about these tuition spikes: why? Sherlock Holmes' infamous quote on solving riddles instructs us that "when you have eliminated the impossible, whatever remains, however improbable, must be the truth." In the case of rising college tuition all across America, we're able to eliminate all of the things that you would normally think of that might contribute to a college's overhead (more staff, new construction, new facilities, etc.) as well as the impact that inflation and cost of living increases have on tuition. What we're left with is this: colleges and universities are raising the cost of tuition simply because they can. As you can see in the graph above, the cost of college tuition has outpaced the cost of living and has even outpaced the rising cost of medical care -- which is really saying something. In order to meet this financial burden, most students are forced to take out student loans (or if you're Mitt Romney's kids you can simply ask your parents). What this means is that more and more college grads are coming out of college with large amounts of debt and with no guarantee of employment. In 2011, the average college student graduated with around $24,000 in student loan debt, which, over the course of your typical 30 year repayment term, actually becomes $56,328.01. In America, approximately 90% of us have at least a high school diploma, roughly 30% have a 4-year college degree, 10% have a master's degree and 3% have a doctorate or professional degree. So most Americans actually do NOT have a college degree or higher. And we can definitely point to several examples of people like Bill Gates (Microsoft), Mark Zuckerberg (facebook), and Michael Dell (Dell computers) who made Billions (with a "B") of dollars without a college degree. But, of course, those are rare exceptions. The fact of the matter is, most people who do not go to college do not end up becoming billionaires. However, on the bright side, consider this: the unemployment rate among people with no high school degree has hovered between 12 to 14% over the past year. That same figure for people with a high school degree drops down to about 8%. The same figure for college grads drops down to 4%. So there is certainly an upside to having a college degree. Especially in this economy. Are we getting to a point where only the rich will be able to send their children to college? Is the Military off limit to Criticism? Problem Solved - Borrow Money From Your Parents!